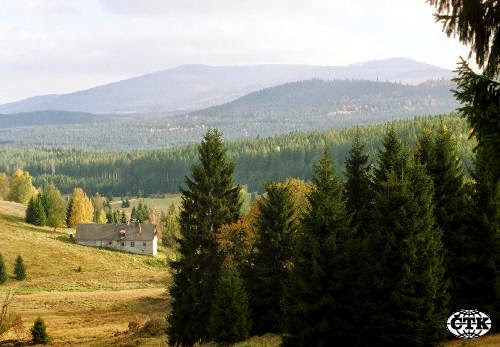 Czech Republic not-so-well-known: What's close to the Czech heart? What's close to the Czech heart? We probably won't strike you as the most emotional of nations, and yet there are some things we ARE very fond of and emotional about. Only we don't express it very easily. And we only realize ourselves when someone says something negative about them and we find ourselves not agreeing with that. Beer (and wine, and Kofola) This is the stereotypical one that's actually true. We love our beer. It's cheap and good and almost every town has its brewery. 120 years ago, my town had 7,000 inhabitants, 80 pubs and inns and all of them had their own breweries. Imagine? I myself am not exactly an alcoholic drink lover, and yet have a beer or a glass of wine from time to time. For the taste, not for the alcohol. Did you know that the word "Budweiser" is Czech? It's the German name for the town of České Budějovice. But few non-Czechs know that it's not just beer with us. We have several wine-making regions, too, where you can insult beer till your throat gets sore and nobody will mind, but say one word against their wine and you'll get punched in the face. Even when visiting the Trója Chateau in Prague, you'll see some vineyards. We don't make enough wine to export, but still are proud of it. Ask your Czech friends to recommend a Moravian wine. And even fewer non-Czechs know that we have our own version of Coca Cola, called Kofola, that contains licorice and less sugar than Coke. It isn't a general thing like with beer and wine, but many Czechs drink it and love it. Film fairy-tales. 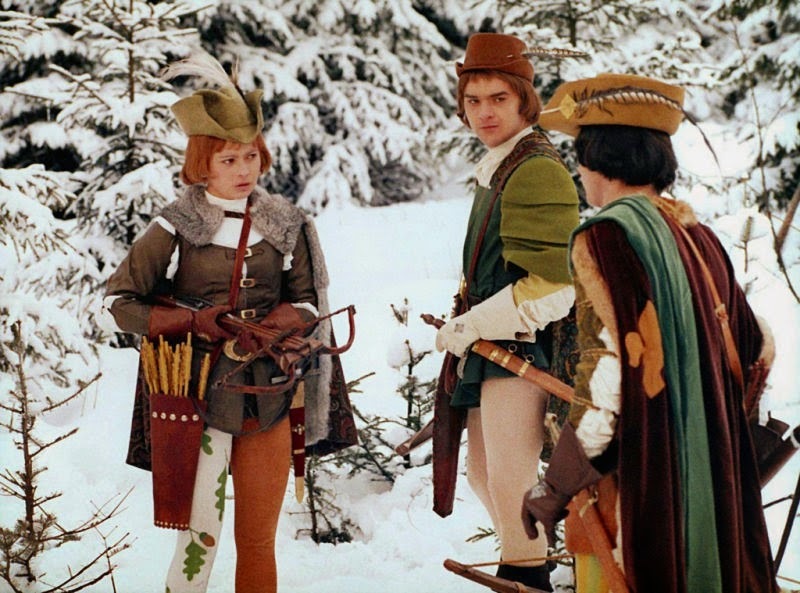 Have you watched Three Hazelnuts for Cinderella (Tři oříšky pro Popelku, 1973)? If not, I recommend you do. It's one of the rare cases where Czechs were able to communicate to the world what they feel strongly about. Together with this, there goes a certain fondness for the leading actress, Libuše Šafránková. She's in her 60's now but still kind, beautiful, playful and graceful. And a decent person. 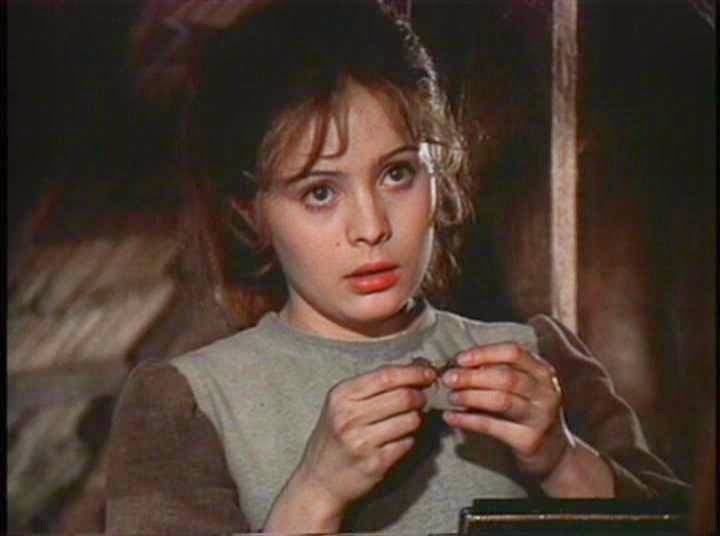 Some people say they like her sister, Miroslava Šafránková, more - she's kind, beautiful, graceful and decent, too :-) Watching film fairy-tales and liking the Šafránková sisters is very much a Czech thing. But there are heaps and heaps of other film fairy-tales to choose from. I'm not sure about the numbers but I'd hazard a guess that there've been at least 5 film fairy-tales made every year since 1968. And almost everyone watches them at Christmas. 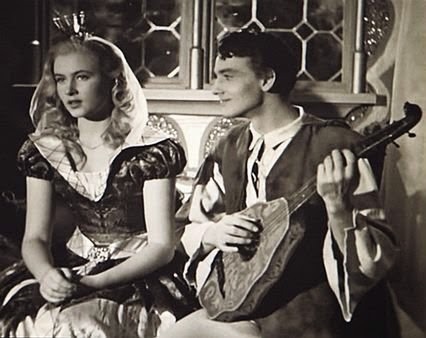 The plots are very specific - in fact, a Czech film fairy-tale is a specific genre that's difficult to describe. 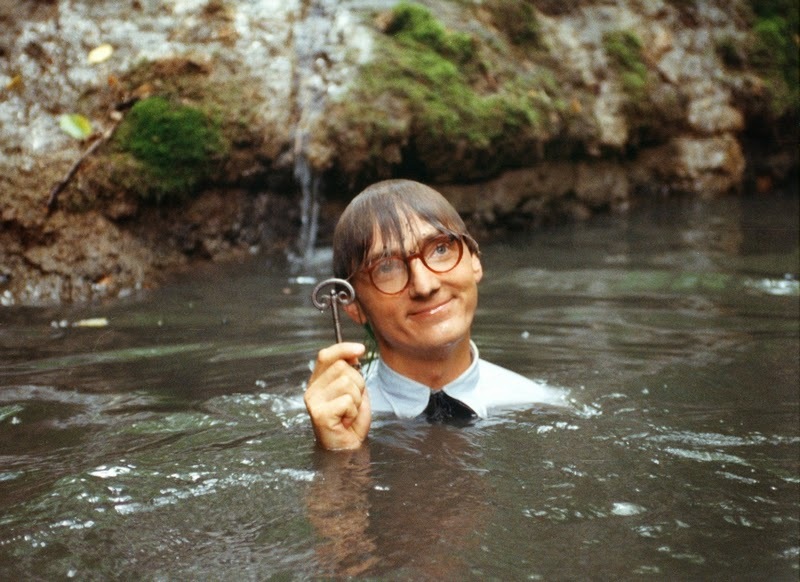 They don't have many supernatural elements, they're more like romantic-poetic-adventurous comedies. Some of them lean more towards romantic, some towards adventurous, some towards comedy. Charity. I've read somewhere that Czechs give more money to charity organizations every year than Poles, and I mean more - not just in relation to the number of inhabitants. When you realize that there are 10,5 millions of Czechs and 38,5 millions of Poles, this is actually quite impressive. My personal theory is that fairy-tales and charity donations are what makes up for the lack of religion in the CzR. Poles are Catholic, so they don't need any fairy-tales or charity donations to fulfil their need of order and hope. 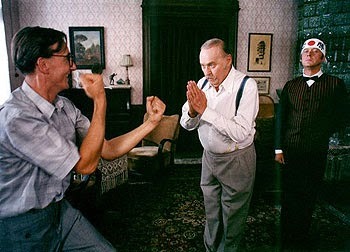 But I think you could very well enjoy the miniseries that was made in 1994 and is pretty close to the book. It was also shortened to a film, but when you don't know the book, the film is hard to understand because there are some things left out. So I recommend the minisieries. A 30-year-old guy in the 1930's who works in an office and isn't exactly what you'd call imaginative or adventurous. But one day, on a whim, he hires a servant who is the exact opposite of him. 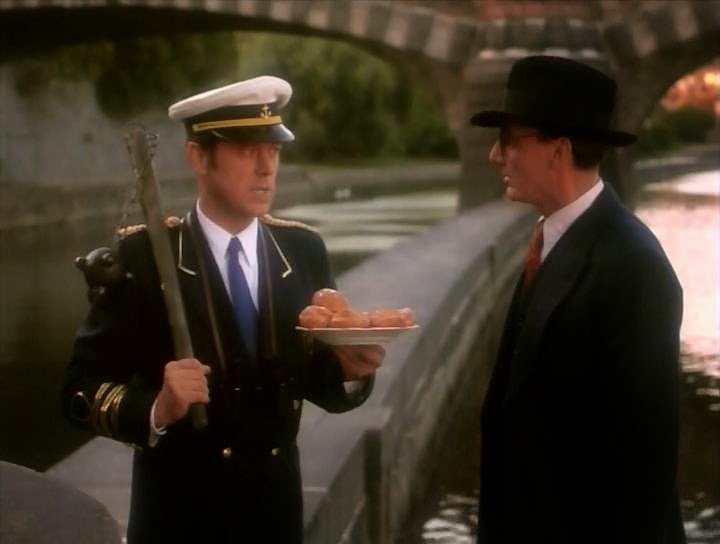 This servant's name is Saturnin and his hobby is persuading everyone that his master is a lion- and crocodile-hunter who lives on a houseboat. Then he actually makes him move to a houseboat. Some 1930's personalities. Our first President T.G. 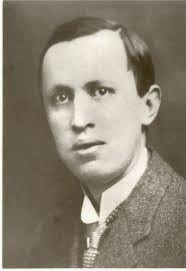 Masaryk and writer Karel Čapek - not everyone likes them, but most Czechs admit they were brilliant. Whatever famous Czech you may have learned about abroad - Božena Němcová, Václav Havel, Franz Kafka, Milan Kundera, Jaroslav Hašek and his Švejk - please realize that those are perceived as famous Czechs by non-Czechs. 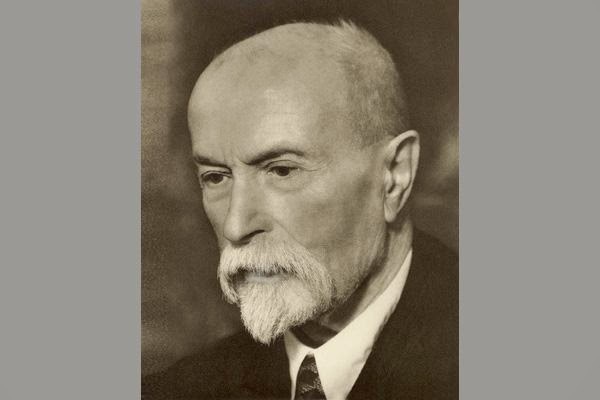 They have a huge place in our history, but Masaryk and Čapek (whose brother coined the word "robot", by the way) - these are the ones at the core of Czech identity itself. The 1930's are perceived as a sort of a Golden Age of Czechs - perhaps subconsciously now, but probably more and more expressed as such in future. 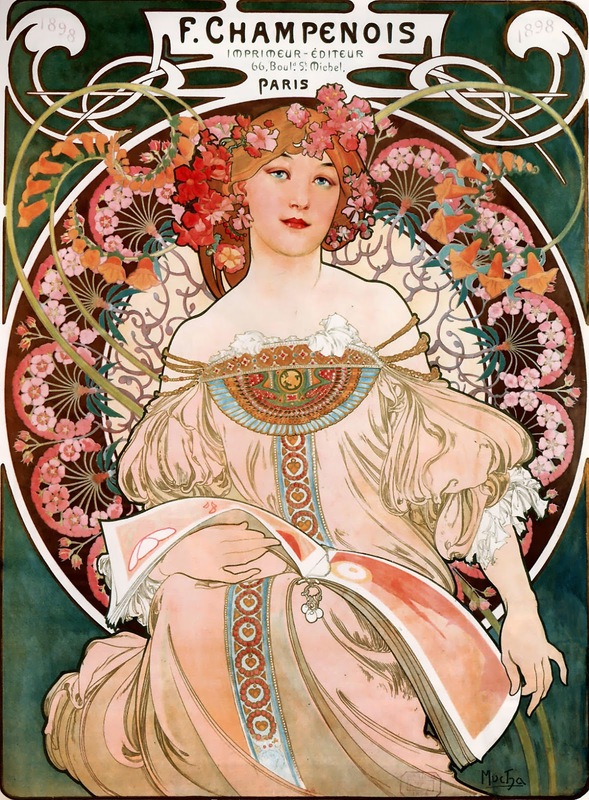 Alfons Mucha's Art Nouveau posters. It's not like we love them to pieces, but they're everywhere and we get offended when it turns out someone doesn't know Alfons Mucha was Czech. History: Middle Ages, castles and chateaus. Most Czechs have a weird love-hate relationship with history. They're convinced that learning about it is boring, and yet are willing to listen to 80-minute guided tours of castles and chateaus. And when a foreigner visits their town, they suddenly turn into experts on its history. I'm not exactly a historian, and still know that the town I grew up in was given the official town status in 1134. Perhaps it has something to do with the fact that 860 -1620 were the years of our glory - we had Reformation before Martin Luther, we were the first country in the world to have a Protestant king, the whole of Bible was translated to Czech before it was to English, Prague was the capital of the Holy Roman Empire for some time, Charles University (1348) was the first university east of Germany to be founded, etc. etc. Some Germans say that CzR nowadays isn't big on modern art, architecture or science, but it's good for learning about history from. I'm afraid they're right. Hiking & canoeing (& swimming), mountains & forests. At an English lesson that was to be the last one for the teacher before going back to the U.S., we asked her what she's looking forward to seeing again. She said: diversity. People are much more similar to each other in the CzR than in the U.S., and she likes it, but she's a bit tired of it. "You Czechs are all white and if I ask you to go hiking with me in a forest next Saturday, you will all react in the same way." And she was right! At the moment when she was saying "hiking with me in a forest", I realized we ALL had exactly the SAME expression on our faces! "Yeah, OK, let's go!" I felt like we were brainwashed! Nobody forced us to like hiking and canoeing, but we still do. I only have a vague idea why this is so. 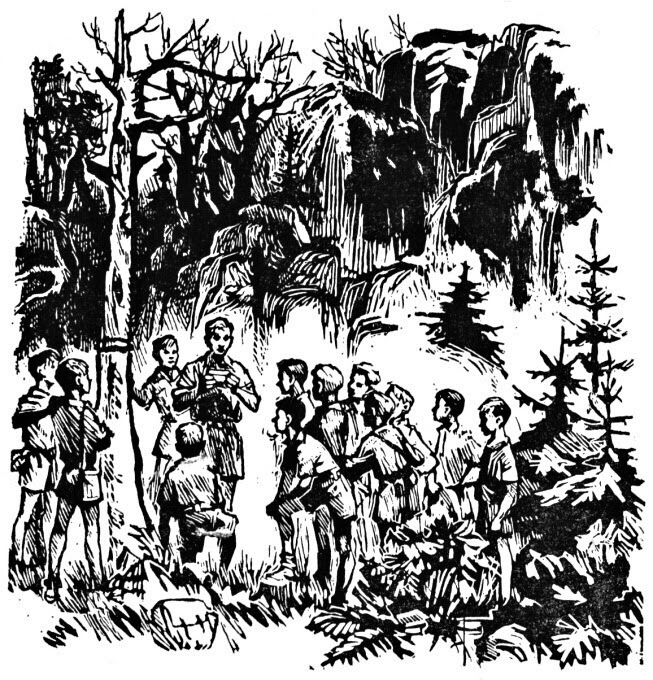 I don't know whether you've heard about the Canadian author Ernest Thompson Seton, but he was the one to influence our Boy Scout movement by his books about Canadian nature and First Nations people. And because Boy Scouts were pretty big here in the 1930's and even more so during the Communist era (though secretly and under different names), this was something that influenced us. Why especially during the Communist era? Because learning how to hike in forests and generally how to survive and live in harmony with nature (how to cooperate, help others, now the names of all kinds of plants and animals, save someone from drowning etc.) was one of the few apolitical things you could do and feel free in. Also, Czech forests are safe. There are only lynxes and wolves in two mountain ranges and they're afraid of people. The forests are usually small - in several hours' walk, you always reach a village. And there are no swamps in them. Hence the subconscious feeling that forests are friendly, and we don't understand why forests are portrayed as mysterious and dangerous in British whodunnits like Midsomer Murders or New Tricks. Take the Three Hazelnuts for Cinderella - such a big part of it takes place in a forest! And also, hiking in a forest is the best thing you can do for your health. Walking is the most natural movement for the human body, breathing in oxygen is good for cancer prevention, and the aerosol trees produce contains anti-oxidants. And if you live in a busy city, the silence is great. I can guarantee that if you venture a 5 km walk in a forest, you'll feel like ten times happier and healthier the next day. 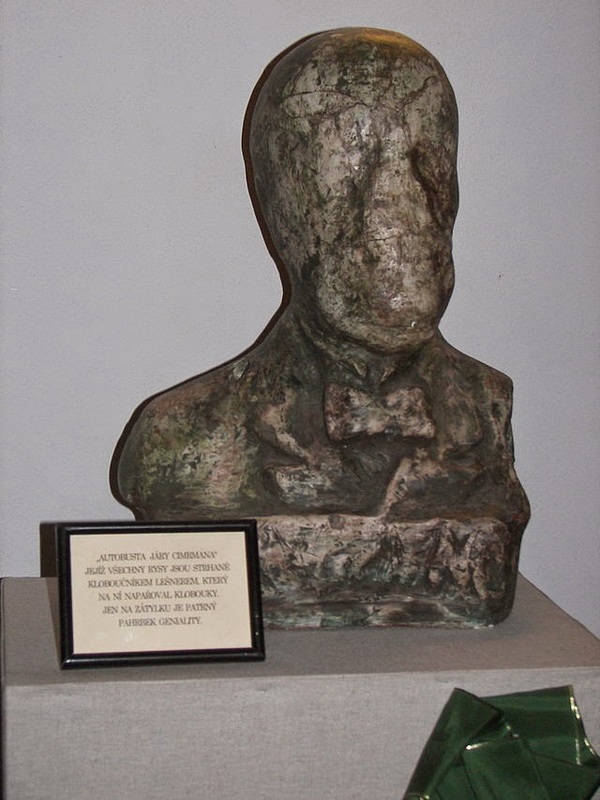 And last but not least... Jára Cimrman. This Czech genius won the BBC poll that took place in many EU countries: "Who was the greatest Czech / German / French / Italian / whatever?" The French voted for Napoleon, Brits for Winston Churchill, etc. etc. We voted for the guy who advised Eiffel on the shape of his tower, discovered a Yetti in the Arctic, invented absolute rhyme, bikini and dynamite ten minutes after Alfred Nobel, found out you can't make gold by making tobacco smoke react with water, wrote a seven-hour operetta and the "Conquest of North Pole" play I mentioned here in "Understanding Czechs". And has streets named after him all over the CzR. But the same BBC that organized the poll cancelled its result in the CzR because guess what... Jára Cimrman never lived! BBC had this weird notion that a fictitious character can't be considered a greatest person in a nation's history. Our response is: Who the bloody hell cares! 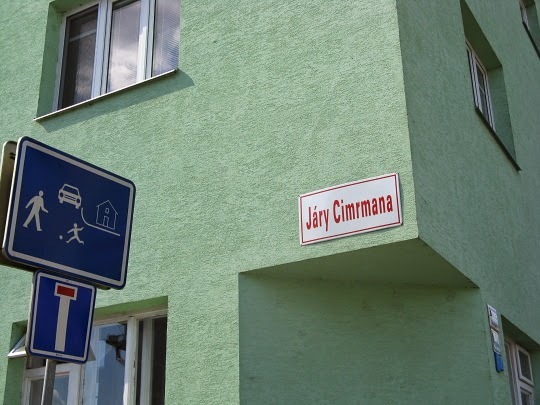 Jára Cimrman was the greatest Czech in history, and that's it! It's best illustrated by Jára Cimrman and the fact that there is the event "Total eclipse of the Sun in the Czech Republic in the year 2081" created on Facebook, and 55,000 people are planning to attend! And those who declined the invitation are commenting "Sorry, but that's the day the Czech astronauts are returning from Mars, I'm probably going to welcome them instead" or "Unfortunately it's on Sunday and I'll just be returning from my night shift". Interesting one. Didn't know we are so good at charity.